I would like to remove these horizontal lines, how can I do that? I spent over 2 hours looking for where I could disable it. 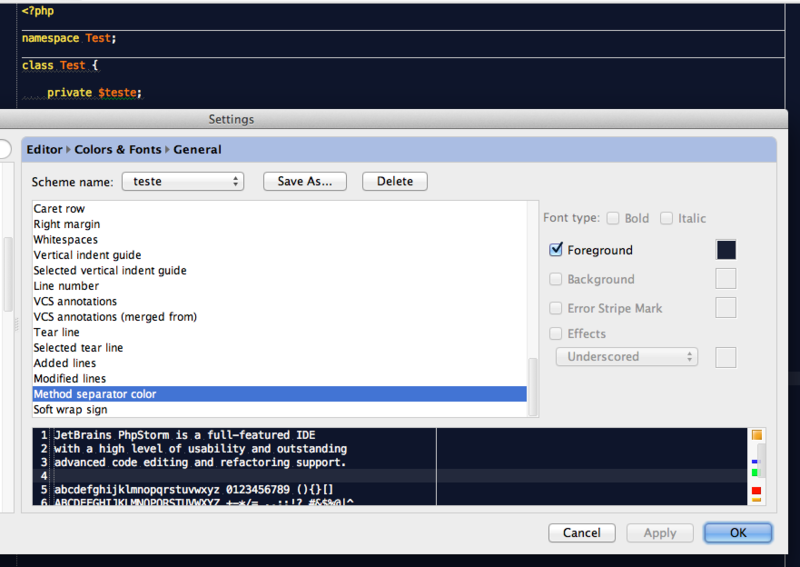 For lines before namespace/class -- they cannot be removed (AFAIK) .. but you can change the color (make them invisible) -- "Settings | Editor | Colors & Fonts | General | Method separator color"
I've tried this without success, take a look on the following screenshots. These lines causes me a visual discomfort, in fact I don't even know what they are for. I really want to disable this. Do you have other tip? These lines causes me a visual discomfort, in fact I don't even know what they are for. They are for visually separating one function/method/class/namespace from another. I, personally, do like it a lot as I do not need to use separate line with comment (something like /*********/) to make such separation. But it is true that not everyone likes it -- that's why you can make them invisible by setting color the same as background (or removing checkbox -- either should work -- at least works for me). Have you clicked "OK" on settings screen? 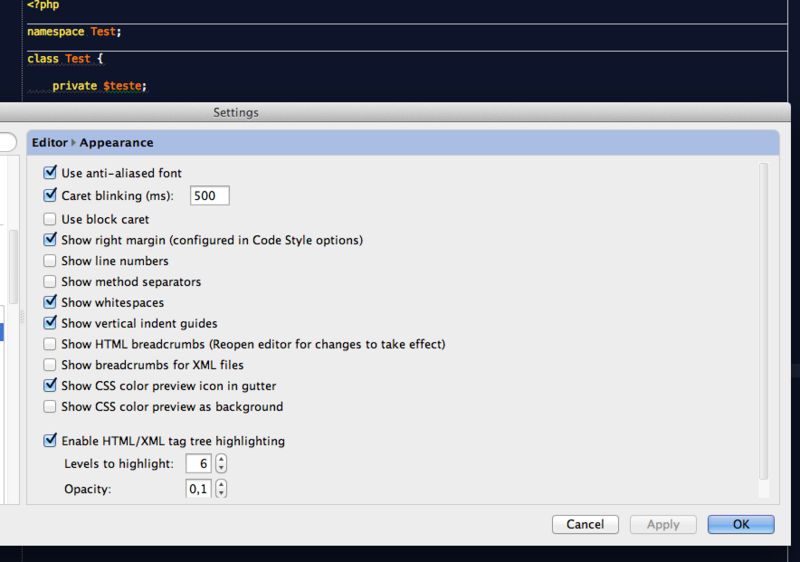 Color scheme will not be applied by just clicking "Apply" button -- Settings screen must be closed. Aha! Here is the problem. It doesn't seems obvious for me since almost all personalizations are immediately applied just clicking on the "apply" button.